One of the basics that real estate brokers teach new agents is that they need to get signatures on contracts. They also want to be sure that they get all the signatures needed, which is not always clear. The recent case of Jacobs v. Locatelli,California Sixth Appellate District, Feb. 18, 2017, provides a case in point. On April 9, 2013, Bernice Jacobs, who is a licensed real estate broker, signed a listing agreement with John Locatelli, granting Jacobs the âexclusive and irrevocable right’s to sell a parcel of property in Marin County. The duration of the contract was one year. The listing price was $2,200,000. If Jacobs procured a buyer for the property, she was to receive a commission of $200,000. The listing experience was not a happy one. Not long into the listing period, Jacobs contacted Locatelli to tell him that she had been in contact with a representative for the Trust for Public Land (TPL) and that TPL was interested in purchasing the property. Locatelli told Jacobs that he had been speaking with TPL for years, and that it should be excluded from the listing. The TPL representative denied this. In any event, sometime in 2013 the owners and TPL entered into a purchase agreement. The sale, however, was never consummated. On April 4, 2014, Jacobs filed an action against the owners. (The Appellate Court noted that the failure of the sale was not addressed as a cause for Jacobs not to receive a commission. Hence that issue is not discussed.) The action was for breach of contract and for specific performance, among other charges. The owners filed a demurrer – essentially, a motion to dismiss – on the grounds that they had not signed the listing agreement. The trial court sustained that motion. Jacobs appealed. At this point, it is relevant to consider what is known as the Statute of Frauds. It is found at California Civil Code section 1624(a)(4). In short, it says that a contract to sell real estate for compensation [a listing agreement] is not valid unless it is signed by the person or persons (or his/their agent) who is to pay that commission. When the owners claimed they were not responsible for any commission, they were relying on the Statute of Frauds. If Locatelli had authorization to sign a listing agreement on behalf of the other owners, he would have been given authorization to sign something that was required to be in writing. According to the equal dignities rule, then, that authorization would also have to be in writing. When the Appellate Court reviewed this case, they seemed to find too many anomalies in the circumstances to allow the case simply to be dismissed. For example, they felt that Jacobs should be given an opportunity to introduce extrinsic evidence regarding Locatelliâs claim that he was authorized to act for the other owners. So, the case was sent back, and we donât know at this point how it will turn out. But we do know that a lot of grief and lawyer fees could have been saved if there had been a concerted effort to obtain all signatures in the manner necessary. 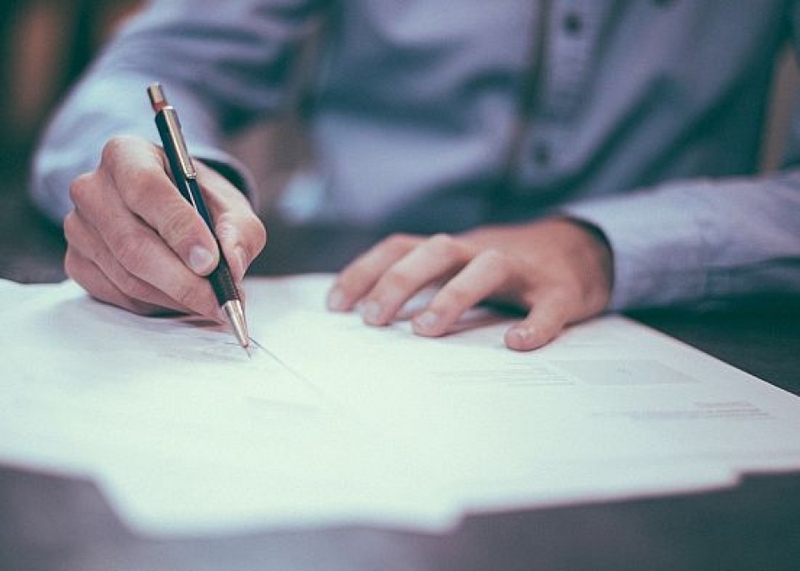 Indeed, there may be a lesson here for California real estate agents who have come to rely on the relatively new document entitled Representative Capacity Signature Disclosure. This is used when one person is signing for an entity such as a trust, or LLC, or partnership. It just might be a good idea to obtain a signed copy of the document that authorizes the person to act in such a capacity.